The Bush Product program began in 2011, with the miyalk (female) rangers using their traditional Yolgnu healing methods to utilise local native flora in a variety of personal care products. 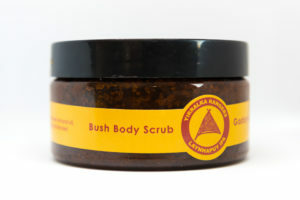 All of our bush products are hand crafted using the most beneficial botanical ingredients. 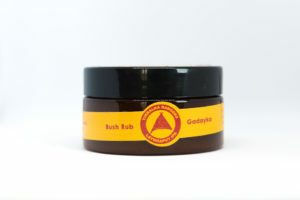 Our product range includes bush body scrub, body rub, soap and lip balm. Butjirinaning leaves (Litsea glutinosa)BenefitsButjirinaning is a large monsoon vine forest tree that is traditionally used by Yolngu to treat sores of the skin and muscle cramps. 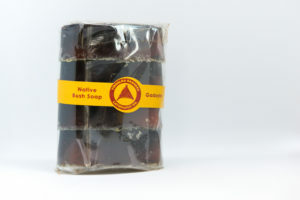 To date, our products have been sold at various festivals and markets across the NT including the Garma Festival and markets at Nhulunbuy and Darwin. More recently, we’ve supplied our products for corporate event party bags as well as for individual use or gifts. For more product information or to order our products online, simply leave your details via the enquiry form below and we will get back to you. This versatile and invigorating scrub can be used either as a relaxing bath soak or as an exfoliating body scrub – leaving you with smooth and replenished skin. Choose from scrubs containing Nambarra to soothe colds and flu, Gadayka to treat skin irritations or Butjirinaning to treat sores and infections. Nambarra (paperbark tree) are traditionally used by the Yolgnu to treat coughs and flus. Oils from these plants have been combined with soothing ingredients to make a healing balm that can be rubbed directly onto the body. Choose from rubs containing Nambarra to soothe colds and flu, Gadayka to treat skin irritations or Butjirinaning to treat sores and infections. We blend plant matter and essential oils to a gentle soap base to produce beautiful soaps to calm and cleanse. 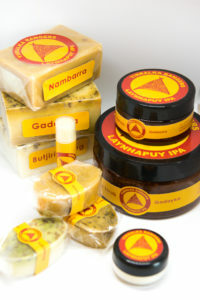 Choose a Nambarra infused soap to soothe colds and flu, Gadayka to treat skin irritations or Butjirinaning to treat sores and infections. Use our lip balm topically to relieve dry or chapped lips. All the Ingredients used in these products are of a very high standard and have many benefits for the skin. Macadamia Oil Properties: It is highly emollient oil and can be useful for dry and/or mature skin with the palmi-oleic acid having some anti-aging properties. It also appears to have a slight sunscreen effect. Cocoa Butter: Australian Certified Organic (ACO) and United States Dept. of Agriculture (USDA). Solid yellow butter obtained from the cocoa seed. Deodorised and de-coloured. Excellent emollient. Long lasting protection, occlusive, high in vitamin E, softens, lubricates. Good for all skin types, especially dry skin. Excellent for eye/neck/lip areas. Beeswax: Australian Certified Organic (ACO). Solid yellow wax, with mild honey aroma. 100%Pure, unrefined Beeswax is a versatile ingredient and is used for its occlusive properties. Eucalyptus Essential Oil: This essential oil of the Australian Eucalyptus tree is known for its potent anti-bacterial action. It is favoured to heal wounds, treat fungal infections and reduce fevers. Typically it is a great antiseptic, plus it’s also the perfect tonic to revitalize and decongest sluggish skin. Red Australian Clay: Is an oily clay with a gentle absorbent action. Perfect for use in masks for dehydrated dry and mature skin. Our miyalk rangers take pride in using their indigenous ecological knowledge to produce a range of products that we hope you enjoy.